If you've ever escaped to the garden, the attic, or some other place far removed from your router and found the Wi-Fi to be annoyingly intermittent... then we feel your pain. 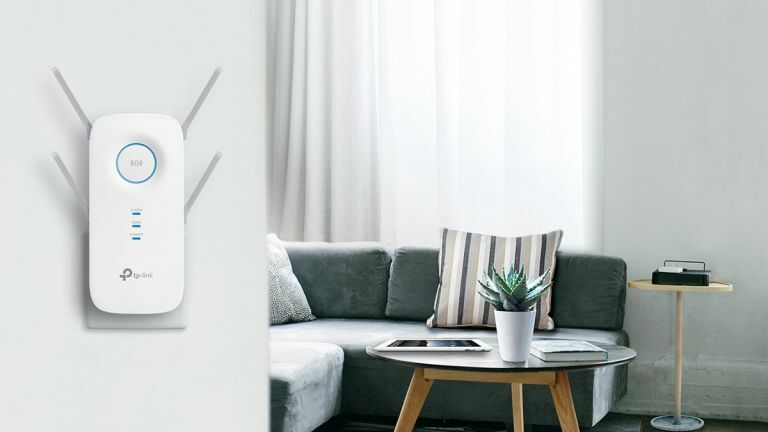 To help soothe it, we've rounded up the very best Wi-Fi extenders around in 2019. With one of the best Wi-Fi range extenders installed in your home, you can boost that precious internet signal to all corners and say goodbye for good to lingering dead zones. Whether you're most interested in streaming video or getting into some serious online gaming, our pick of the best Wi-Fi extenders in the UK today can ensure a rock solid connection around the clock. And the beauty of these devices is they're simple to set up and use. The exact process varies from extender to extender, but you don't need a qualification in IT installations to get connected. Wi-Fi extenders aren't quite as flexible or intelligent as mesh networking systems, but they're also cheaper: perfect if you're looking to boost a signal without having to fork out too much money. Without any further ado, these are the best Wi-Fi extenders of 2019 according to the T3 experts. You'll have the internet flowing into every corner of your home before you know it. You've only got a few specs to think about when it comes to picking the best Wi-Fi range extender in the UK for 2019. First, speed, indicated in Mbps: the faster the better of course, though these are theoretical limits – the speed of the broadband coming into your home and the position of the extender play a big part. Dual band support means the extender uses both the 2.4GHz (slower but long range) and 5GHz (faster but short range) frequencies to beam Wi-Fi around. Look for support for the latest 802.11ac Wi-Fi standard too – it's not essential, but it means your extender will work better with the routers of future years (so will extenders using the older 802.11n tech, just not as quickly). Lastly, look for an Ethernet port on board if you want to connect one or more of your devices up with a cable rather than Wi-Fi – a games console, for example. It means a more stable, speedier connection for your chosen gadget. You can normally rely on Netgear for solid networking kit, and so it is with the Netgear WN300RP. It just plugs straight into a free plug socket and within minutes you're ready to go with your newly extended network – it's sure to appeal if you're after a simple setup. The top 300 Mbps speed over 2.4GHz should be enough for all but the most demanding users, though it maxes out at the slightly older 802.11n Wi-Fi spec. That does mean a low, low price though, which makes this perfect for extending your network on a budget. If you want the fastest speeds possible and you have a little more to spend, then the Netgear EX3700 is an appealing upgrade from the WN300RP. It supports the latest 802.11ac Wi-Fi standards, and as a result goes all the way up to 750 Mbps for its maximum speed. There's also dual band (2.4GHz and 5GHz) connectivity here, plus some features that match the cheaper alternative from the same manufacturer – the same plug-and-play approach to setup, an Ethernet port, and a similar selection of useful LEDs on the front. As you might be able to tell from its rather imposing design, the TP-Link RE650 is all about performance – a potential top speed of 2,600 Mbps across the 2.4GHz and 5GHz bands, multiple antennas for better support of multiple devices, and an Ethernet port as well. You can even target Wi-Fi at particular devices, like a games console, if you need focused, high performance, and TP-Link says the gadget can cover 14,000 square feet. All this power comes at a higher price of course, but you might consider the expenditure well worth it. If you trust the TP-Link brand – and there's every reason to – but can't afford the RE650, then the RE200 is an excellent alternative that's a little more affordable. The maximum speed here is 750 Mbps, working across both the 2.4GHz and 5GHz wireless bands. As well as those high speeds, you get an Ethernet port on board if you want to wire up a desktop computer or a games console, for example. Sometimes the best Wi-Fi extenders aren't the most expensive ones, and the TP-Link RE200 is a prime example of this. Full marks to the Belkin team for making a Wi-Fi extender that looks half-decent, though it's probably not your primary concern when you're choosing a device like this. Like our other models, this one plugs into a free wall socket and is up and running in minutes. The maximum 1,200 Mbps speed on offer is one of the key selling points of the Belkin AC1200, but there's no support for the latest 802.11ac Wi-Fi standards. That said, most people will be fine on 802.11n, and it works on both the 2.4GHz and 5GHz bands too. Whether or not BT supplies your broadband, you can use the BT Wi-Fi Extender 1200 to get connectivity out to every corner of your dwelling. What we like most about this extender is the way it shows you right on the unit whether it's close enough to your main router or not. On top of that it offers dual band connectivity across both the 2.4GHz and 5GHz bands, and speeds that top out at 1,200 Mbps – that should be meet all your Wi-Fi extender gaming and streaming needs, though of course you need a high speed connection to begin with. There's no messing about with the Linksys RE6500, which looks a lot like a router but which is actually one of the best Wi-Fi extenders of 2019. One reason to buy a bigger box like this is to get extra Ethernet ports – the unit has four of them for wiring up devices. On top of that you've got top speeds of up to 1,200 Mbps, dual band coverage across the 2.4GHz and 5GHz frequencies, and enough power to blanket 10,000 square feet of space with lovely Wi-Fi. It's not the cheapest option out there but it's well worth considering. The Netgear EX7500 goes above and beyond the call of duty to bring you just about every feature you could want from the best Wi-Fi extender of 2019: a whopping max speed of 2,200 Mbps, dual band coverage, support for 802.11ac Wi-Fi standards, and more besides. Unlike a lot of extenders, it simply repeats the name of the network being broadcast by your main Wi-Fi router, so you don't need to worry about switching between them. It comes with a neat analytics app as well, for testing Wi-Fi strength around the home. Google Wi-Fi vs Netgear Orbi: what's the best mesh network kit you can buy? What a Virtual Private Network is and how it can protect your data and your privacy.